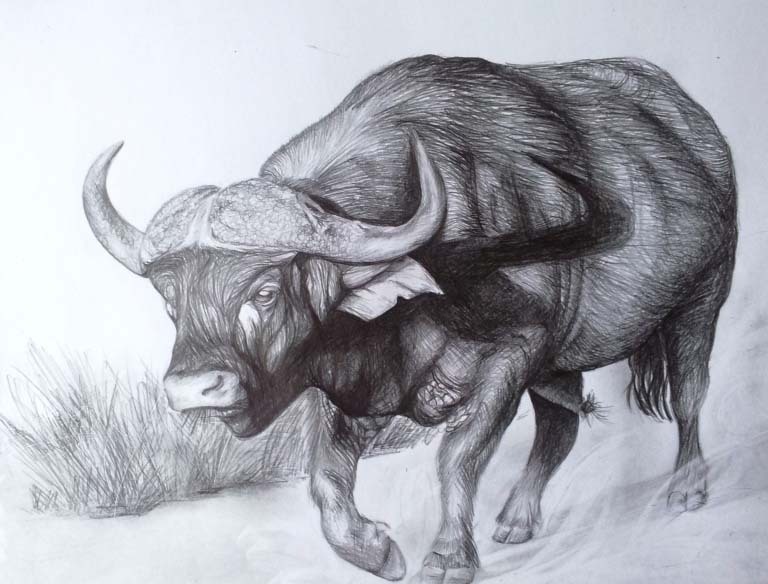 This buffalo sketch in pencil was a commission for a friend as a birthday present. Drawing animals is always rewarding and fun for me. This one in particular, as I had to try and show the animal in movement. I love playing with different techniques for example, I used etching and eraser techniques in this picture.